But, when can we see the film?! June 16, 2015	Christy D	Uncategorized	Comments Off on But, when can we see the film?! It’s lovely to be asked, as it means people are genuinely excited about our documentary! And we’re extremely grateful for the support (and patience) of the film’s growing fanbase. We do now have a UK distributor – the quintissentially British “Bulldog” – who will look after the UK DVD release as well as online/digital sales. Now that all the technical aspects are sorted out and the film is in the final production process, we can confirm that we are working to a release date through Bulldog of AUGUST 10th. We will of course post all links to sales points on our website as soon as we have them, and we will let you know as soon as we have an international release confirmed. 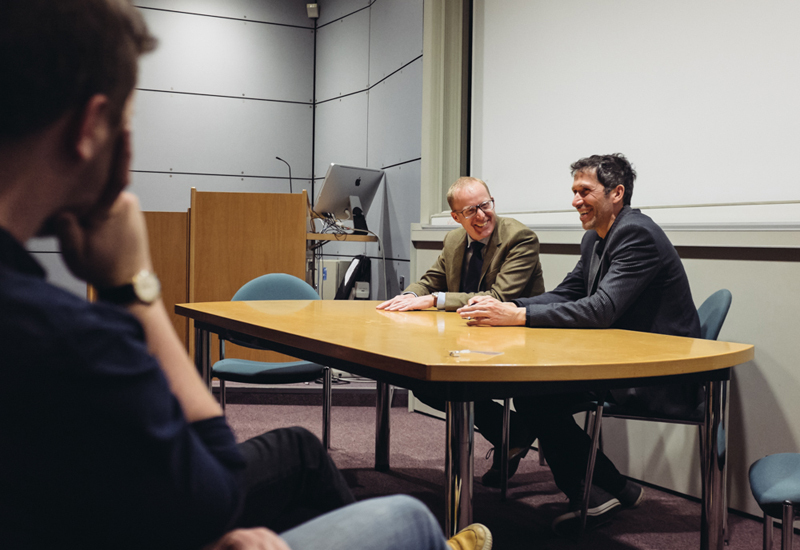 In the meantime, both Director Dave Armstrong and Roger W Smith – the Watchmaker’s Apprentice himself – were recently invited to Birmingham City University to attend a Q&A screening for students. You can read about their visit on the WatchPro website here. If you were there, we do hope you enjoyed it! Many thanks for your continued support, and best wishes to all.